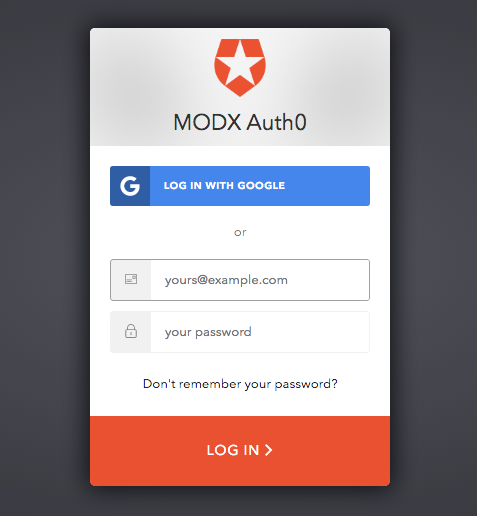 The Auth0 Extra for MODX CMS integrates Auth0's robust identity platform, with MODX's flexible and powerful web content management system / application framework. It goes without saying the Extra needs to be developed with the greatest attention to detail on security. As a free-to-use, open-source package, resources to formally hire security investigators are non-existent, so we're asking the MODX, Auth0 and security communities at-large for help. We're running a series of contests that will hopefully surface vulnerabilities in the application codebase. Each contest will have a goal, or "Easter Egg". Each qualifying submission will be entered into a random draw on the Remediation Date, specified in the details of each contest. The submitter of any qualifying entry will, at their option, be credited in the package's README and description on modx.com/extras/. send the submitter a report on our failed attempt to reproduce and discard the entry. Be disclosed responsibly. Any submission disclosed publicly before the Remediation Date, will be disqualified. Submissions must be emailed to [email protected] and must have the exact subject line described in the contest details. Be unique, per submitter. All entries submitted by the same submitter, must describe unique vectors. This is to prevent the same person from submitting the same vector multiple times to game the random draw. Such submission activity, as well as any attempt to circumvent the qualification criteria (e.g. submitting from different email addresses, etc) will be grounds for disqualification. Disqualification is at our sole discretion. Describe an exploit of the Auth0 Extra's application codebase. The MODX installations hosting the contests happen to be deployed on MODX Cloud, with Cloud instance IDs exposed in the URL. A breach of the MODX Cloud infrastructure does not qualify as a vulnerability in the Auth0 Extra's application code, unless it can be demonstrated that the application code was directly responsible for the breach, by means such as privilege escalation or exposure of information. A vulnerability in Auth0, or the MODX application itself, does qualify if it meets all other criteria. Find the Egg. While we appreciate any and all security and bug submissions, the only way to run a contest is to have a quantitative goal that every submission must achieve. Thus the Easter Egg desribed in each contest must be included with the submission in order to qualify. Contest B: "The First Gate"
Submission Subject Line: "I passed The First Gate"
We're passing the prize to this new round! The Easter Egg is hidden here. We've increased the attack surface and pooled the prize money from Contest A. The `auth0.JWTLogin` Snippet is called here: https://c0475.paas3.tx.modxcloud.com/jwt.html. The User also has Manager access. A vulnerability in the MODX application that can be exploited to gain Manager access, qualifies if you include the Easter Egg in your submission. The MODX User is logging in with username and password, not a social connection. If you can brute force or bypass Auth0's login flow, that also qualifies. You can study the application codebase for more clues. It's hosted on Github. Contest A: "The Copper Key"
Submission Subject Line: "I found The Copper Key"
In the next few weeks and months, as we see how things are going, we will introduce more contests, and may change the structure or other aspects of the contests. Always, the goal is to reward and acknowledge the work of those who submit qualifying entries, and to improve the software. We are so very grateful for your participation. Please let us know via email [email protected], in the comments below, or in the Github repo's issue tracker if you have any comments or suggestions.